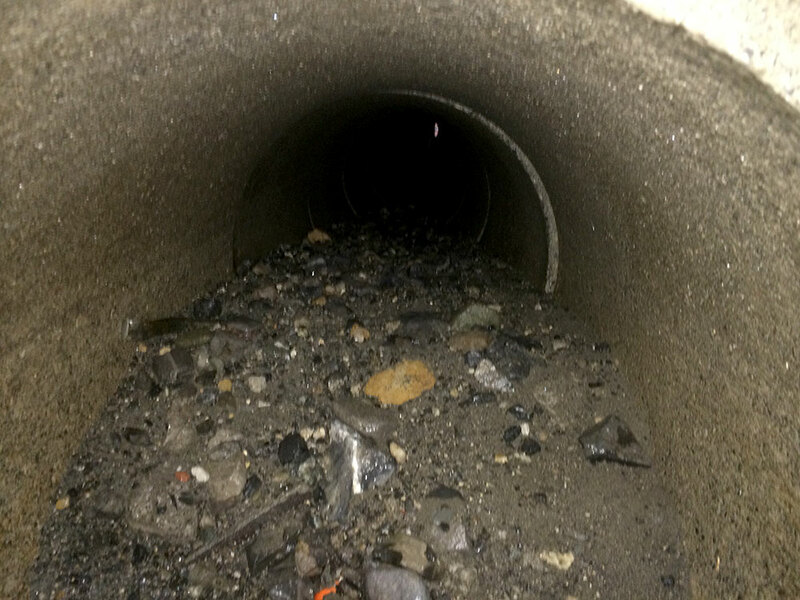 To maintain its proper function, a sewer system needs a cleaning schedule. 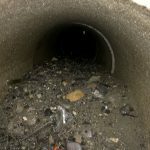 There are several traditional cleaning techniques used to clear blockages and to act as preventative maintenance tools. 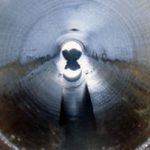 When cleaning sewer lines, local communities need to be aware of EPA regulations on solid and hazardous waste as defined in 40 CFR 261. In order to comply with state guidelines on testing and disposal of hazardous waste, check with the local authorities. * These devices are required by some uniform building codes and/or sewer-use ordinances. Typically sand/oil interceptors are required for automotive business discharge Need to be thoroughly cleaned to function properly. NOTE: Before using these chemicals review the Safety Data Sheets (SDS) and consult the local authorities on the proper use of chemicals as per local ordinance and the proper disposal of the chemicals used in the operation. If assistance or guidance is needed regarding the application of certain chemicals, contact the U.S. EPA or state water pollution control agency. 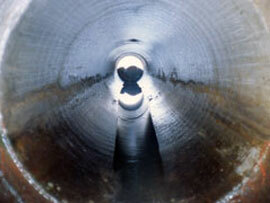 A jet rodder cleans 255,000 ft. of sewer line per month. If the operating costs of the rodder is $0.42 per 100 ft. What is the monthly cost to use the rodder? First calculate the number of 100 foot sections. Then calculate the monthly cost.